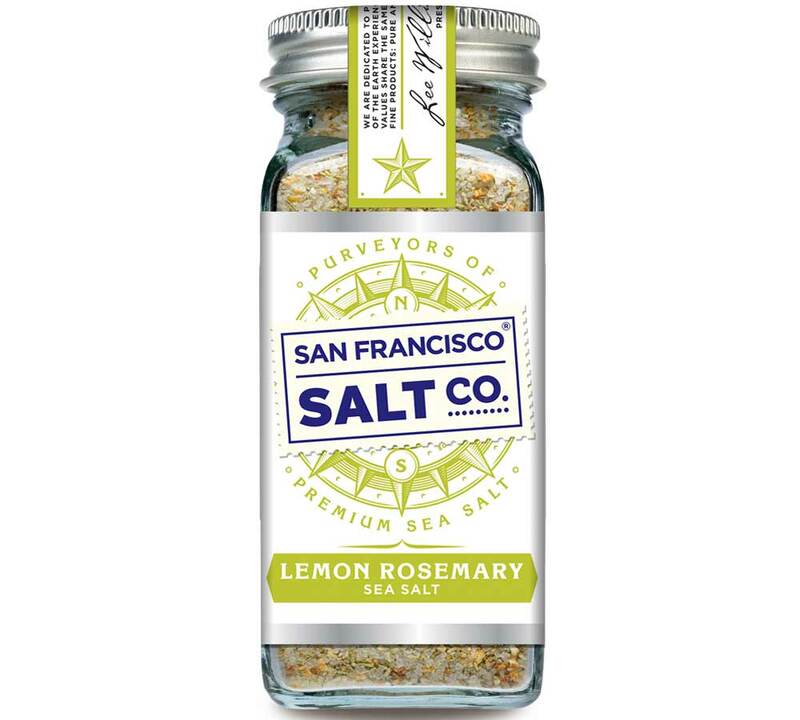 Lemon Rosemary Salt - Glass Shaker | San Francisco Salt Co.
Pristine Pacific Ocean Sea Salt is infused with a zesty kick of lemon, rosemary & garlic to create this light, crisp seasoning that’s bursting with flavor. 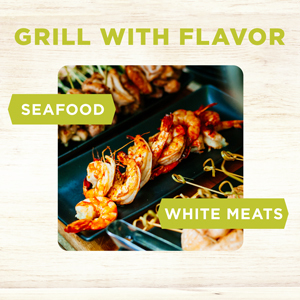 Add instant freshness to your meal with the light citrusy flavor of lemon and rich savoriness of rosemary and garlic. 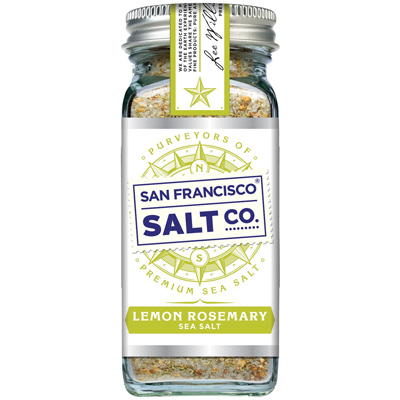 A GARDEN-FRESH DELIGHT - This Sea Salt blend is the perfect balance of zesty lemon,�aromatic rosemary, and savory garlic. 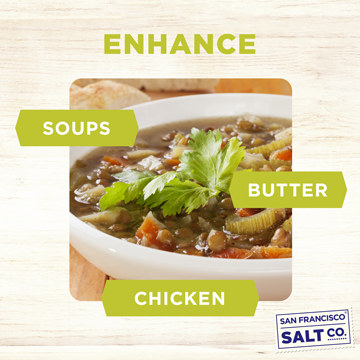 This is an incredibly versatile�salt that is sure to leave you coming back for more! 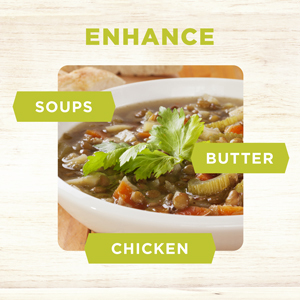 SEASON TO PERFECTION - The�citric acid�naturally found in lemon zest adds a unique, complex kick to meals,�naturally intensifying and elevating the�flavor�of any food it touches. 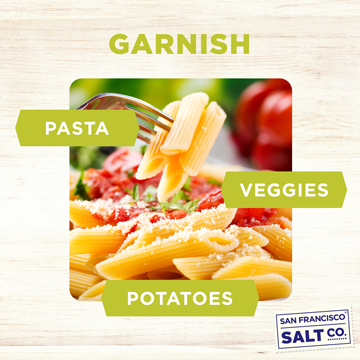 Combined with aromatic, woodsy rosemary, savory garlic powder, and pure, crisp Pacific Ocean Sea Salt, this blend is as fresh tasting and versatile as it is delicious. 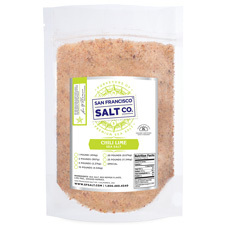 AN ESSENTIAL INGREDIENT FOR PROFESSIONAL & HOME CHEFS ALIKE - The perfect finishing salt, our Lemon Rosemary Sea Salt perfectly complements a variety of foods such as Poultry, Veggies, Pastas, Eggs, Potatoes, and more! 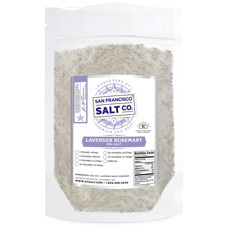 DESCRIPTION - Pacific Ocean Sea Salt infused with Lemon Zest, Rosemary, and Garlic. We package in our U.S.A., SQF Quality code compliant facility. PACKAGING - 4 oz. Glass Shaker. SHAKER DIMENSIONS - 1 5/8" x 1 5/8" x 4 1/8". Garnish potatoes, pastas, and vegetables with a hint of lemon rosemary salt. 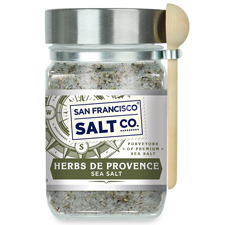 Add a twist to veggies,�soups, or chicken with this fresh sea salt.